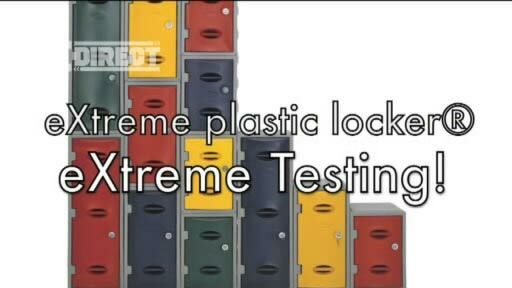 Polyethylene Plastic Lockers are hardwearing and can take far more "punishment" than a conventional locker. 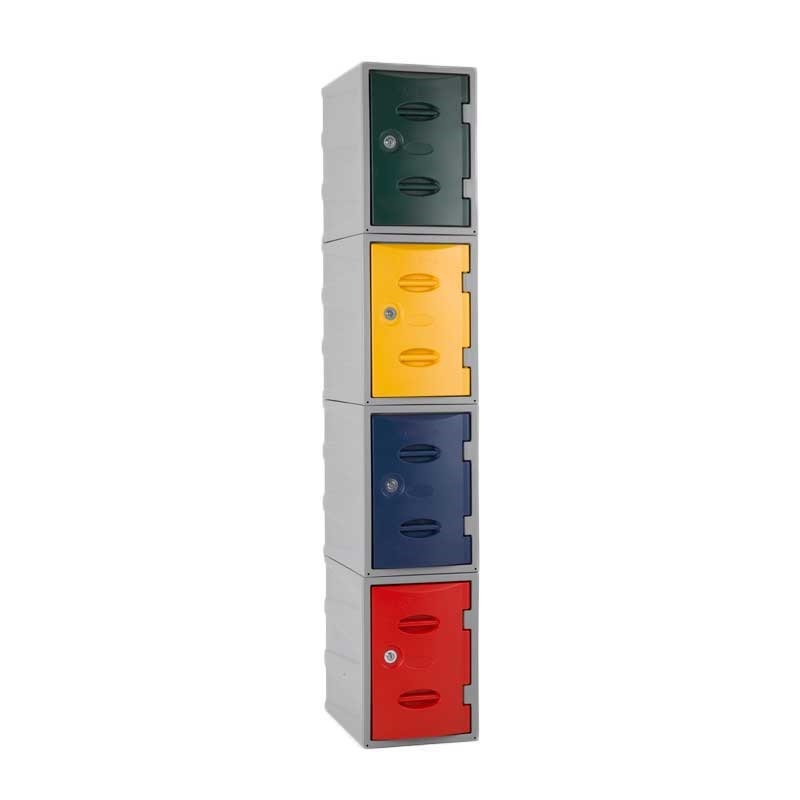 Plastic lockers are strong and durable units that are suitable for use across various locations. 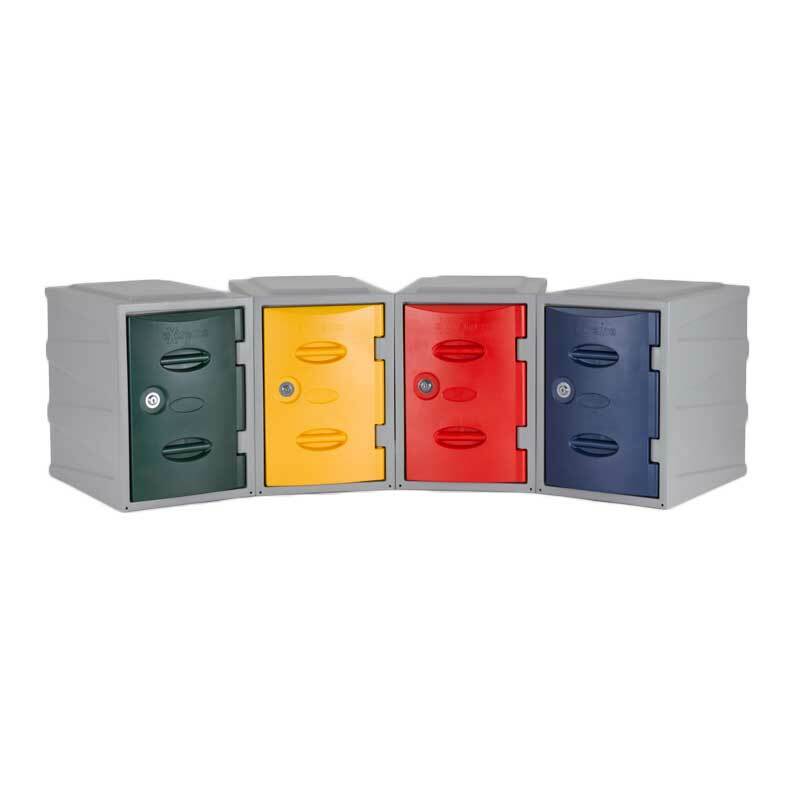 These polyethylene lockers are designed for providing safe storage indoors and outdoors. 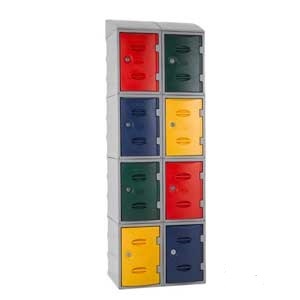 Their robust construction makes them highly vandal resistant as compared to conventional lockers. 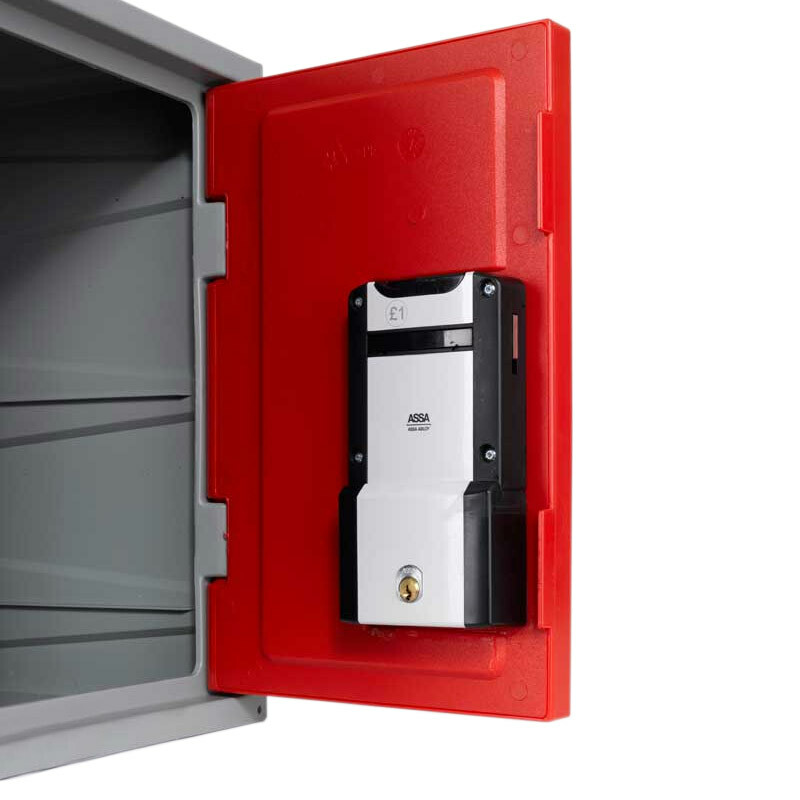 These units can be washed completely, neatly stacked and easily nested using noted fixing points. 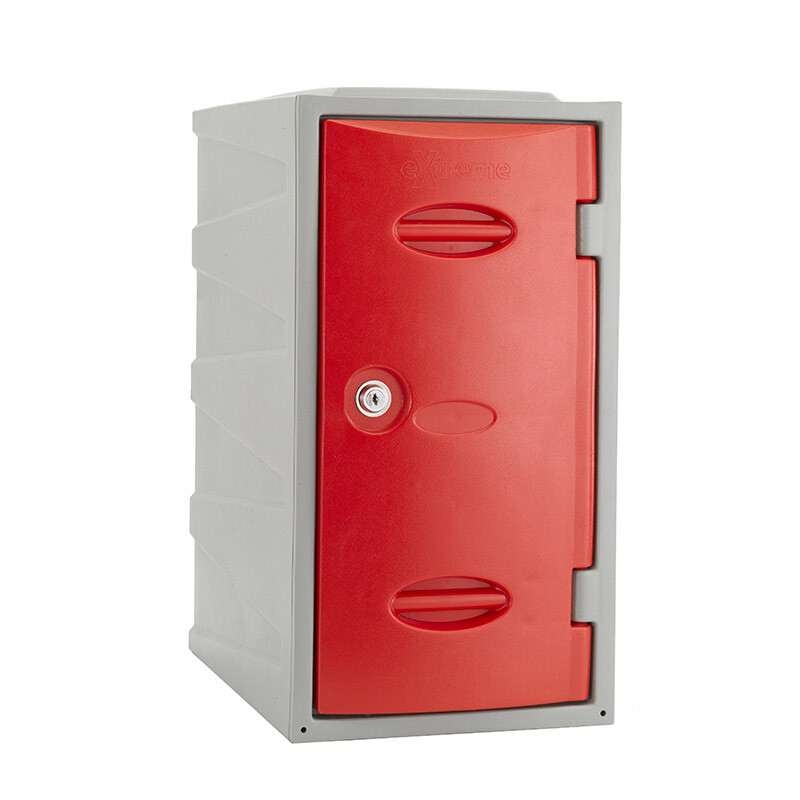 The doors are provided with label position and air vents. 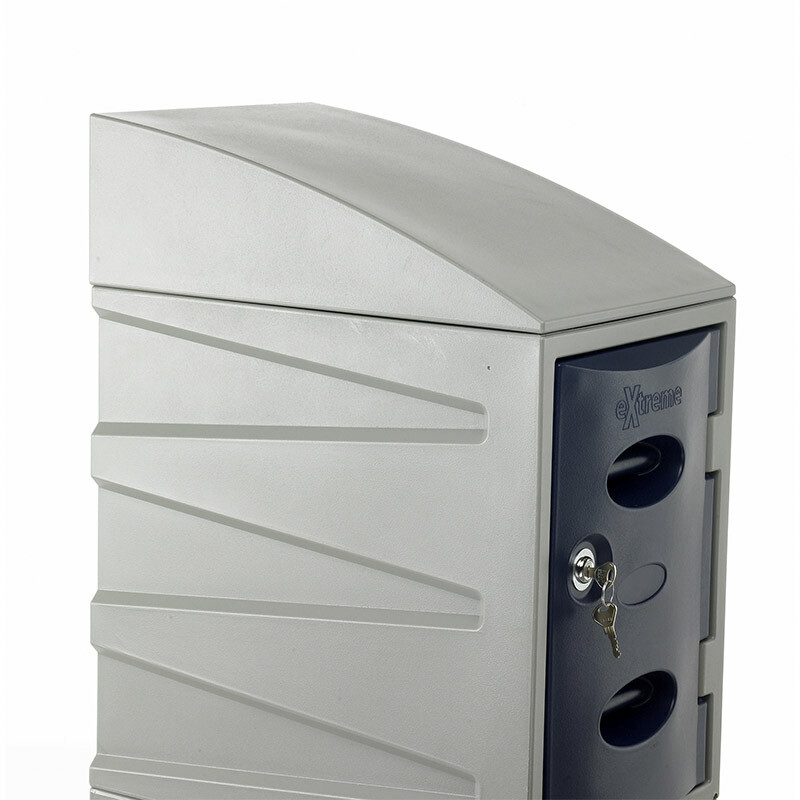 The Camlock with normal keys provides security to the units. 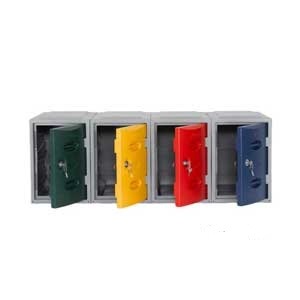 The lockers can be made more secure by opting for swivel lock or coin locks. 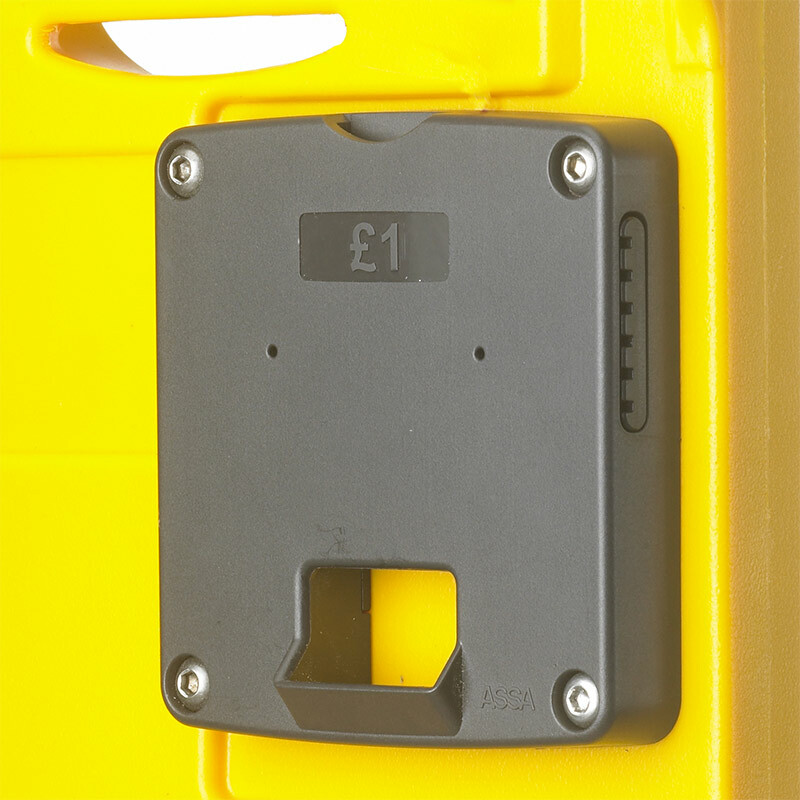 The coin locks are charged extra. 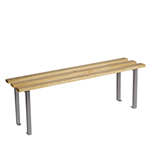 They are suitable for use in a variety of locations like schools, swimming pools, offices, industrial units, etc. The optional retro fit sloping top adds style to the units. 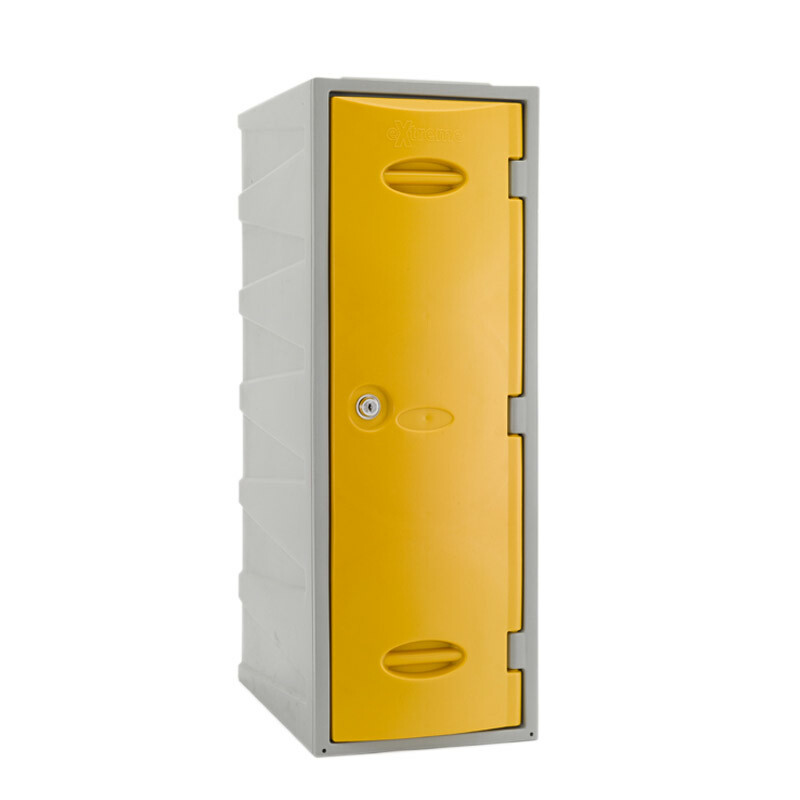 These outdoor plastic lockers are available in three sizes (450, 600, 900mm high). 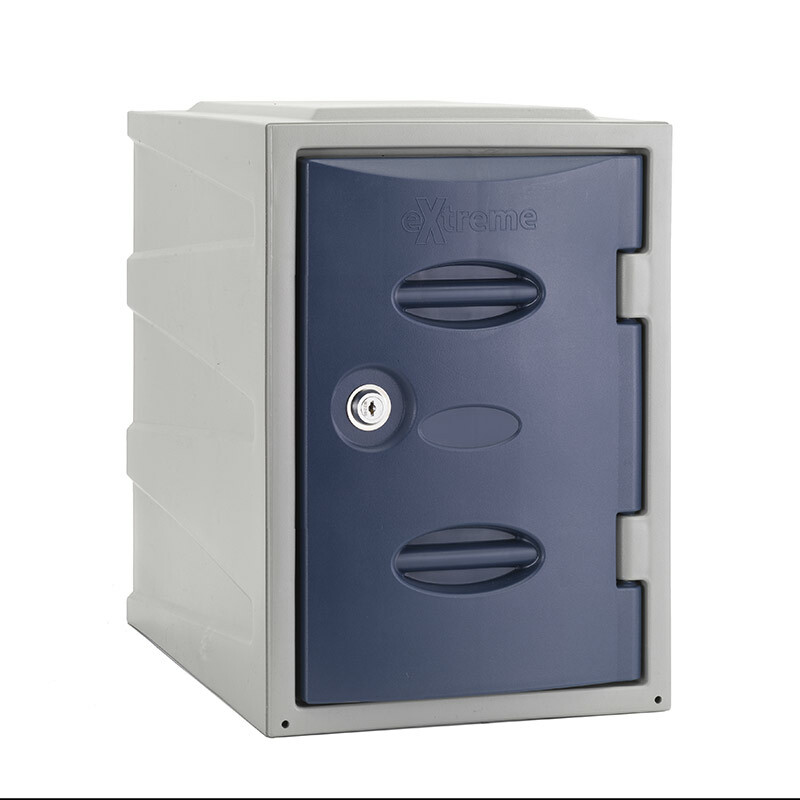 The base size of 320mm x 460mm is same for all lockers. 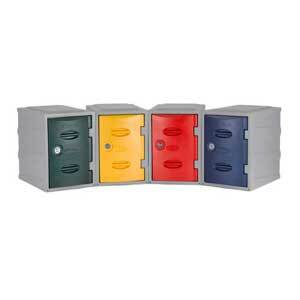 Each unit is made of a grey body and an attractively coloured door. They must not be exposed to driving rain. A. Yes they can be fixed.